As a New Year begins and another passes in the history books, we need to take the time to thank all of our current and new customers who have purchased parts and or service from Owosso Tractor Parts. We must also recognize the 1,466 tractor drivers and nearly 300 buddy riders and 52 tractor clubs who have participated in this years 10th anniversary of the Mackinac Bridge Antique Tractor Crossing. Visit: (www.mackinacbridgecrossing.com). 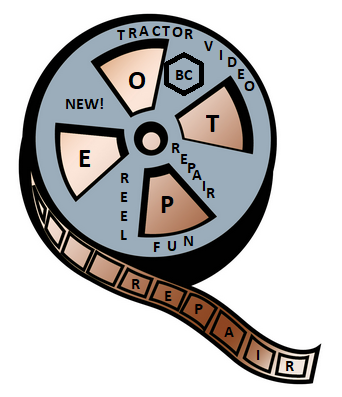 Our on-line parts catalog offers thousands of tractor parts to keep your tractor, combine, backhoe and crawlers running as they should. Our service of equipment guarantees your equipment is fixed correctly. Our e-bay store also makes it convenient for any purchase you may have with easy payment of paypal, visa, mc, American Express. Your parts can be shipped direct to you or you may choose to pick them up at our store. We ship internationally also. Our company is a family owned business and pride ourselves on customer satisfaction. We encourage you to call and get to know us personally. You will find that we care about your parts needs and are there to assist you. As I leave you on this Sunday evening, I reflect on all the new friends we have made along the way. Never forgetting those who are no longer with us and keeping family and friends close and always in our thoughts. Family is the most important asset we all have and it should be cherished forever. So keep safe my friends and I sincerely hope you and your family have a joyous new year.